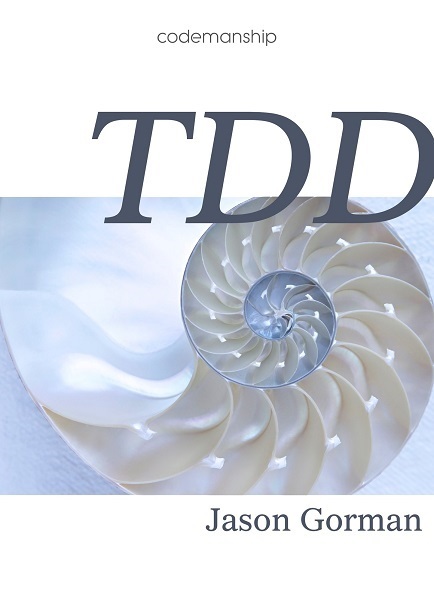 If you've been on the Codemanship TDD training course, you may vaguely recall the first afternoon when we discuss design principles and how they can shape our code as it emerges. I posit 8 principles that I ask participants to apply to the exercises, drawing from Simple Design, "Tell, Don't Ask" and S.O.L.I.D. These 8 factors are interrelated, and form a kind of virtuous - if somewhat complex - virtuous circle. Code that's easier to change tends to be easier to test quickly. Fast-running tests make refactoring easier. Which helps us make our code easier to change. And around we go. We don't do slides on the course (hoorah! 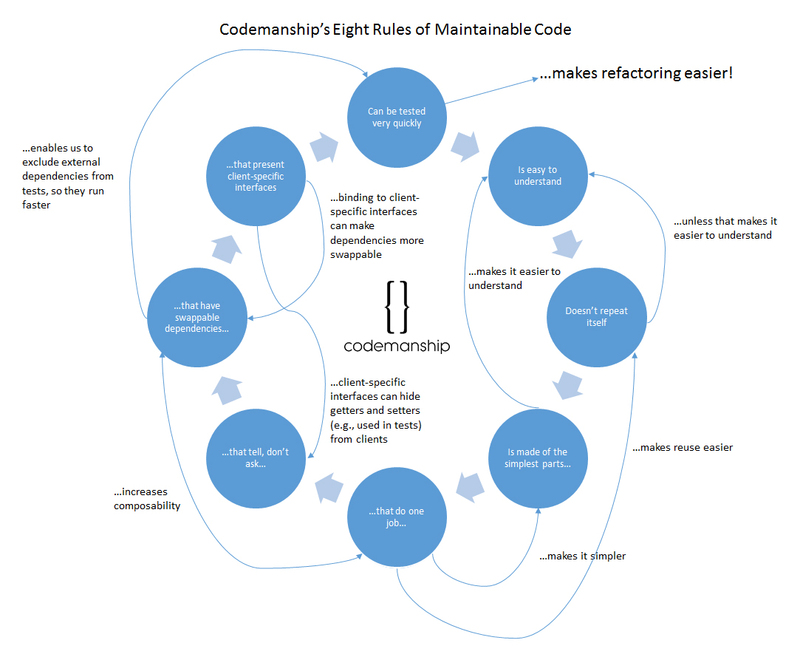 ), but I'm trying this morning to visualise these 8 principles and how they relate to each other in a single graphic. And this is my latest iteration, to print off and hang on your toilet wall or put on a spiffy t-shirt. All non-profit uses are fine. 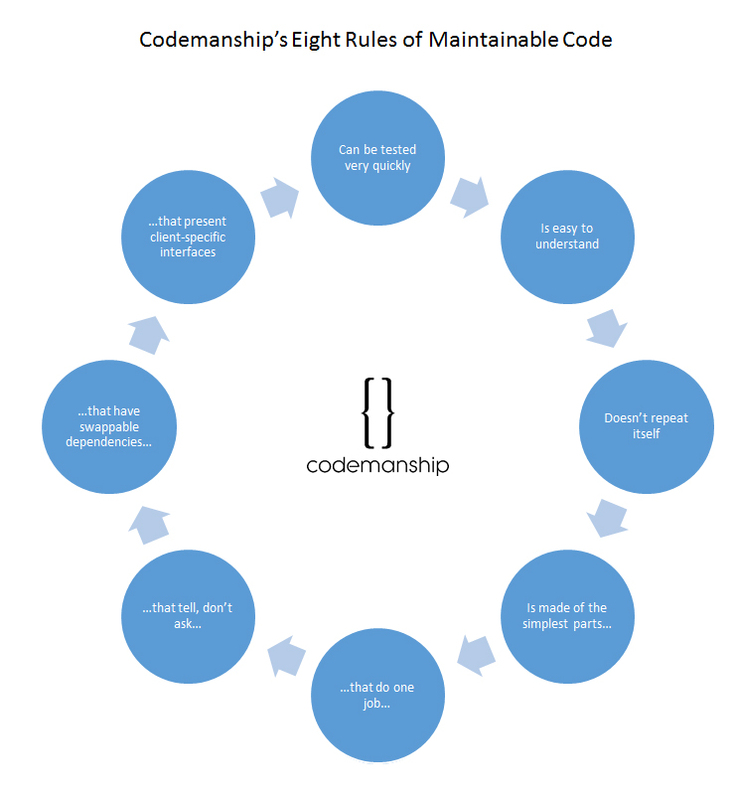 Going beyond maintainability, there's also a relationship between Clean code and reliability. 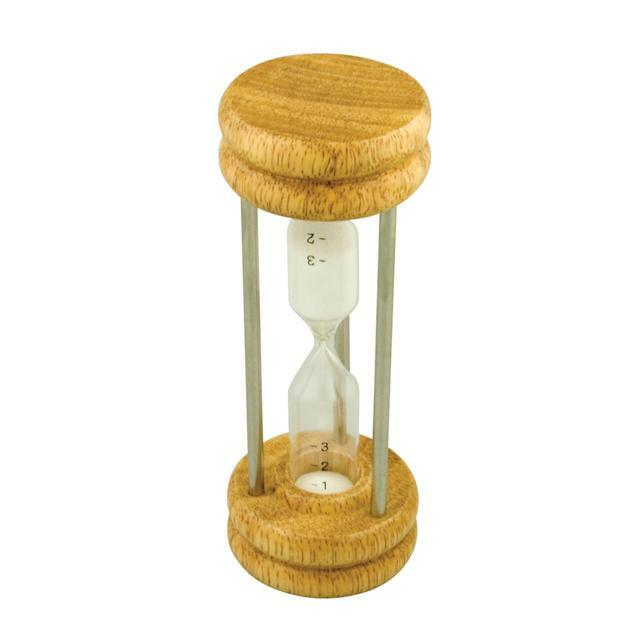 Code that can be tested very quickly tends to have far fewer bugs. And code that's simpler and easier to understand is likely to get broken when we change it. So, it's more of a virtuous triangle, really.